Rude Mechanicals is an ensemble-based theatre collective from Austin. Check out this 5 Minute Q&A featuring Co-Producing Artistic Director, Lana Lesley. Why did you and the other founders decide to make Austin your home? We founded our company in 1996. We chose Austin because it was possible back then to pay rent with part-time jobs while we built the company and focused on art making. It took about six years of living that way before the company was able to sustain us on its own. Alternative performance spaces were available, and the scene was incredibly exciting filled with new work, open minds, and a generous and supportive arts community. We are always asked why we chose to live in Austin, so far from the artistic meccas on the coasts. Why would we have chosen anywhere else? Here we have friends and colleagues who know the value of a life lived making art with comrades and taking time to relax on the patio and share a beer. Tell us about Rude Mechanicals. Why is the collective significant? We create new plays from scratch right here in Austin, and we&apos;ve been really lucky to have received five off-Broadway premieres, and to participate in the national scene by touring our work around the country to top national venues such as Lincoln Center (New York, NY), The Walker Arts Center (Minneapolis, MN), The Wexner Center (Columbus, OH) and Center Theatre Group (Los Angeles, CA). We are extremely proud to continue to represent Austin as a home to cutting-edge theatrical practice. 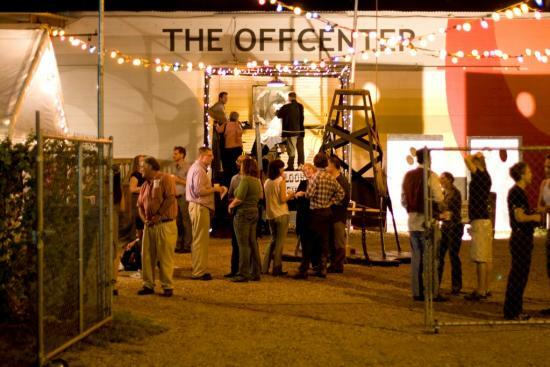 We also support Austin artists by managing The Off Center, a performance venue for arts groups of every discipline. It houses a flexible 100-seat theatre, studios for visual artists, a rehearsal room, Austin Scenic Coop, a scene shop and The Off Shoot, our classroom dedicated to the work of Off Center Teens, our summer program for teenagers. Check out a great short documentary by Mario Troncoso, created for PBS&apos; Arts In Context, that spotlights visual arts, dance, music and culture. How/where can visitors experience Rude Mechanicals? You can find us at our space, The Off Center, in east Austin. That&apos;s where we produce all of our work. Or check our website to see if we are touring to your fair city. Where are some of your favorite places to experience art & culture in Austin? We&apos;ve hosted Fusebox Festival in our space for many years, and are so grateful to them for bringing the national and international arts scene to our backyard. But there&apos;s great new work going on all over town; just to name a couple of spaces Salvage Vanguard Theater keeps their venue buzzing 24/7 with everything from new plays to comedy to adventurous new music, Hyde Park Theater delivers contemporary plays by some of our country&apos;s best young playwrights. That&apos;s just impossible to answer. Austin has become a food mecca filled with innovative chefs and inspiring menus. Its also filled with the best Tex-Mex food out there. When we are on the road, we miss our breakfast tacos something fierce. I think, even as a resident, you could challenge yourself to never eat at the same place twice, and I&apos;m pretty sure you would never have a bad meal. Any other tips for Austin visitors? If you are outdoorsy, look up every watering hole we have and go to all of them. If you are indoorsy, well, we particularly love the animatronic LBJ at the LBJ Presidential Library, check out the galleries, the Blanton is doing some great interdisciplinary programming. Above all else, go see a play. What&apos;s in store for the rest of 2015 and 2016? What significant programming should visitors keep an eye out for? We have a lot coming up. Well be in New York and San Francisco this fall with three of our plays. Then we come home in December to premiere our play Now Now Oh Now. It was workshopped here, but premiered at Duke University, so we are thrilled to finally share it with our hometown crowd. Then in February 16 we will premiere Fixing Timon of Athens, which is part of our ongoing quest to fix Shakespeare&apos;s worst plays. And on April 16, we will premiere a new play, Field Guide, as part of Fusebox Festival. All at our space, The Off Center.